Located in the heart of the Zillertal, Zell am Ziller is a perfect gateway to the Zillertal Arena: Ski and snowboard schools, a 7 km (4.5 miles) floodlit tobogganing run, the Freizeitpark Zell (leisure park) and romantic walks through the snowy countryside will ensure unforgettable moments. The Arena Coaster guarantees fun and action! 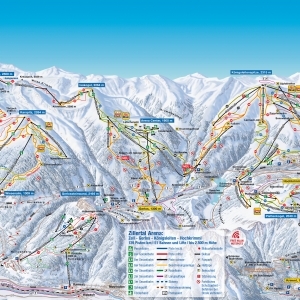 Zell am Ziller offers a variety of accommodations - whether hotel, inn, guesthouse, apartment or camping - you will find your appropriate lodging! Zell is an idyllic village and has a lot to offer. You will spend an exciting holiday with numerous winter sport activities. 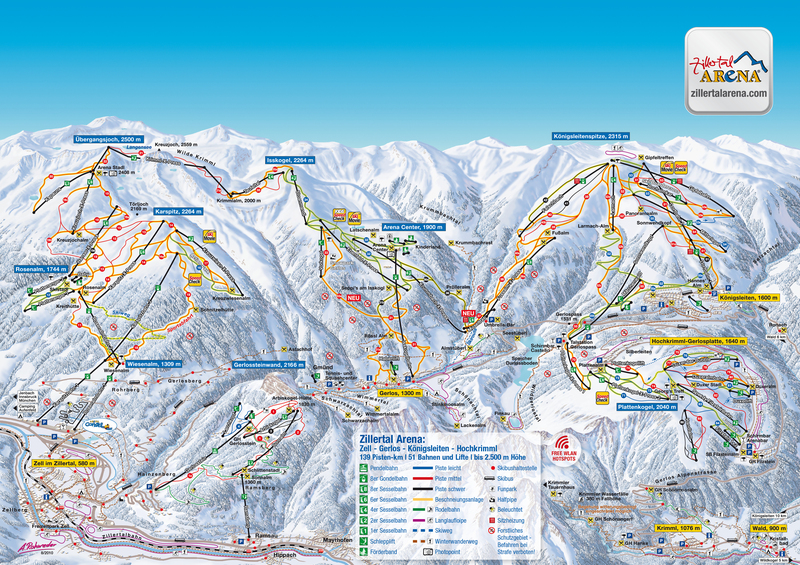 Zell is located in the very heart of the Zillertal valley and at an altitude of 580m. Together with the surrounding mountain hamlets of Gerlosberg, Hainzenberg, Zellberg and Rohrberg, it builds a snowy paradise for families.